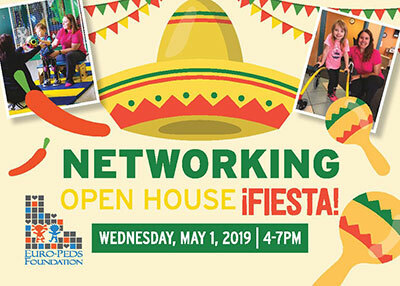 Enjoy festive food and refreshments along with insightful conversations at the EPF’s Spring Open House & Fiesta. Caregivers, networking professionals and others interested in discovering more about intensive PT are welcome to tour our one-of-a-kind clinic, where you'll also learn about Euro-Peds’ new Adult PT and Speech Therapy programs. Let's celebrate Cinco de Mayo a few days early! RSVP at info@europedsfoundation.org or 248-857-7137. Euro-Peds National Center for Intensive Therapies is located by the Marriott Hotel on Centerpoint Parkway near I-75 and Square Lake/Opdyke Rds.